About Shaun – Shaun Micallef Online! Shaun Patrick Micallef is Australia’s most diverse writer, comedian and actor, having starred in and written for television, movies, radio and books. He was born in Adelaide on 18 July 1962, of Irish and Maltese descent. After ten years of working in insurance law as a solicitor in Adelaide, Micallef moved to Melbourne to pursue a full-time comedy career in 1993, after his wife insisted he try it or never talk about it again. With help from his writing friend Gary McCaffrie, he got a role as a writer on Jimeoin’s self titled comedy show in early 1994 (initially credited as Sean Micallef), before writing for sketch comedy show Full Frontal. He gained recognition with his move to a on-screen role on the show, and his own television special: Shaun Micallef’s World Around Him. His success on Full Frontal and his special lead to The Micallef P(r)ogram(me) on the ABC, co-created with Gary, followed by the sitcom Welcher & Welcher and the variety show Micallef Tonight. He also fronted the satirical news comedy series Newstopia on SBS for three seasons and hosted the game show Talkin’ ‘Bout Your Generation on Channel Ten for four years, and appeared in the comedy/mystery Mr & Mrs Murder. He now hosts the topical Shaun Micallef’s Mad As Hell on the ABC. In addition to his television work, Micallef has been on radio, film, stage and is a published author. He co-hosted Melbourne station Vega 91.5 FM’s morning program for 2 years; on stage, he performed in the Australian production of Boeing Boeing and was responsible for the comedy show revival of ‘Good Evening’. His first book Smithereens was released in 2004 (re-released in 2011) and a novella, Preincarnate in 2010. 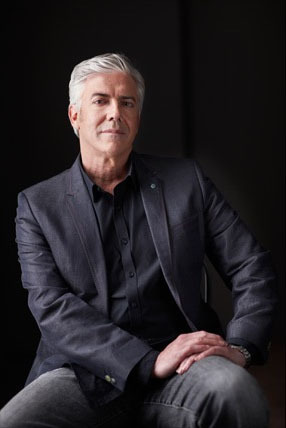 As an actor, Micallef has appeared in movies such as Bad Eggs and The Honourable Wally Norman, as well as guesting in a number of series. Shaun’s style of humour is of a satirical, surrealist nature, and a blend of his comedic heroes: Jerry Lewis, Monty Python, The Marx Brothers, Morecambe and Wise and Peter Sellers.